A seed is the start of a new plant life. Bury it in the soil and watch it grow, grow, grow. But plants need room to grow. Good thing seeds have many ways of traveling to new places. 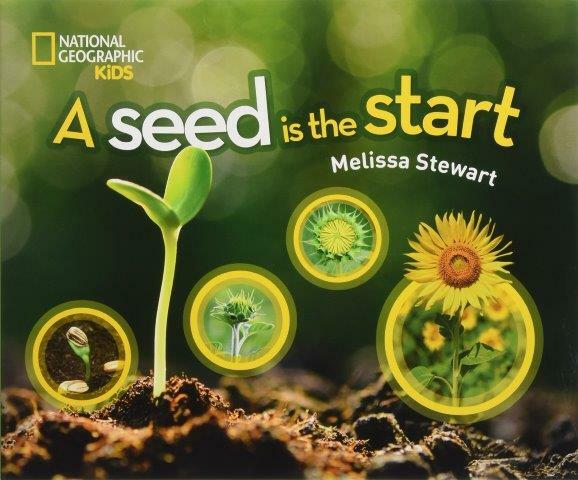 In the pages of this book, Melissa Stewart explores the different ways seeds get from one place to another. Some fly, some float. Some travel inside animals, some hitch a ride on the outside. In clear, not-too-complex language, and with an abundance of photographs, she brings readers into the world of seeds. What I like about this book: I like how each spread celebrates a method of seed travel. I love the photos. And I really like the front-matter: the first page lists six “words to know” that will help readers gain more from the book. Plus there’s an index of plants at the back – so kids who want to know about a particular plant can go directly to that page. And there’s a list of books and websites for further information. Head over to Archimedes Notebook for more books that celebrate spring – plus lots of hands-on activities. Booktalk: Beginning with two cats, one black and one white, a chain of animals appears before the reader, linked together by at least one common trait. From simple colors and shapes to more complex and abstract associations, each unexpected encounter celebrates the magnificent diversity of our world–and ultimately paints a story of connection. The third Friday in May is National Endangered Species Day. If you’ve never watched the Ken Burns documentary, “Brooklyn Bridge,” you may not fully grasp the truly marvel qualities of the Brooklyn Bridge. Besides being an engineering masterpiece, it is an architectural beauty, and the result of a heroic and lengthy commitment by the Roebling family and countless workers. The Bridge: How the Roeblings Connected Brooklyn to New York is the true story in graphic format of the epic task of building the bridge. 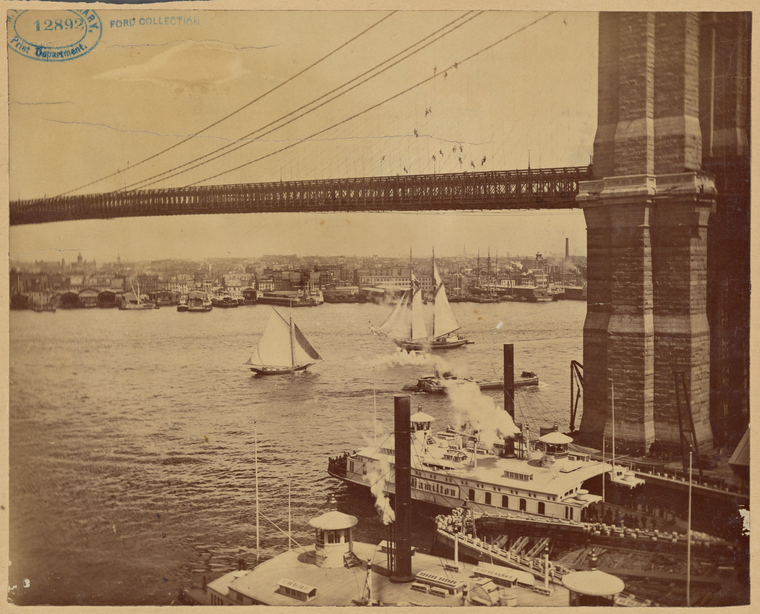 The book begins in 1852, when the bridge was just a dream in the mind of John Augustus Roebling and his son Washington. Washington Roebling’s father was a non-nonsense man, who doled out praise sparingly, but had great faith in his son. In 1862, after designing the bridge and receiving approval for its construction, John Augustus Roebling died and the young Washington Roebling became the chief engineer—a job that he eventually shared with his wife, Emily, after he contracted what was then an unknown disease. Peter J. Tomasi tells this heroic story with little need for explanatory text, employing artistic license to recreate dialogue that rings true and gives a real feel for the political and personal dramas that unfolded throughout the fourteen years that passed during the bridge’s construction. This is not an entirely personal story however, Tomasi includes ample description of the actual engineering of the bridge—a process with many failures and tragedies on the road to eventual success. 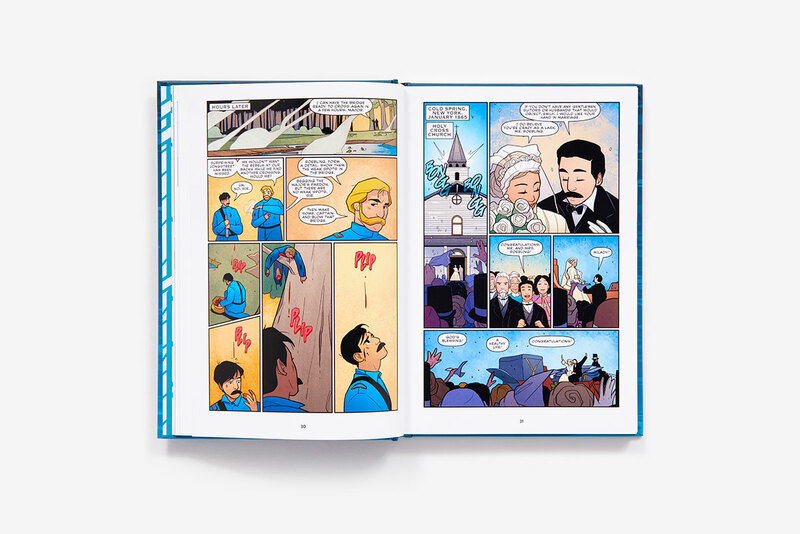 This is Sara DuVall’s first graphic novel and the style is simple and appealing. The colors are bright and engaging, but background details are minimal, allowing the reader to focus on the expressions, the emotions, and the individual episodes that tie this epic story together. 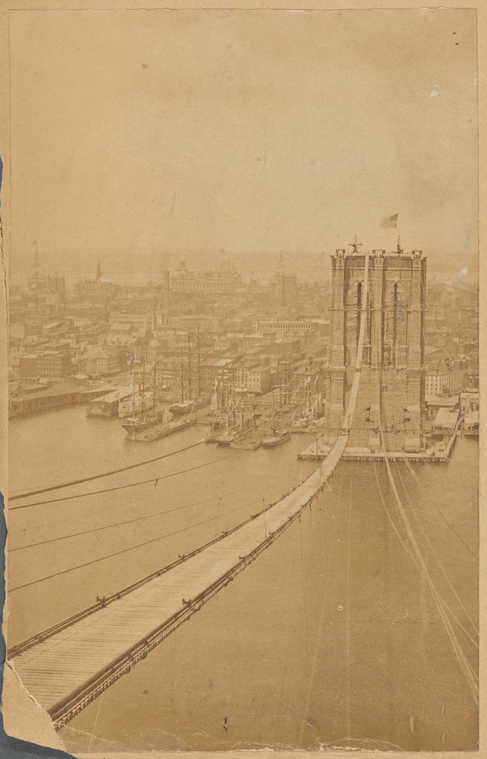 The Bridge: How the Roeblings Connected Brooklyn to New York is well researched and accurately captures in graphic format this engineering marvel and the personal triumphs and sorrows associated with it. See a slide show of images from The Bridge at Abrams Books. 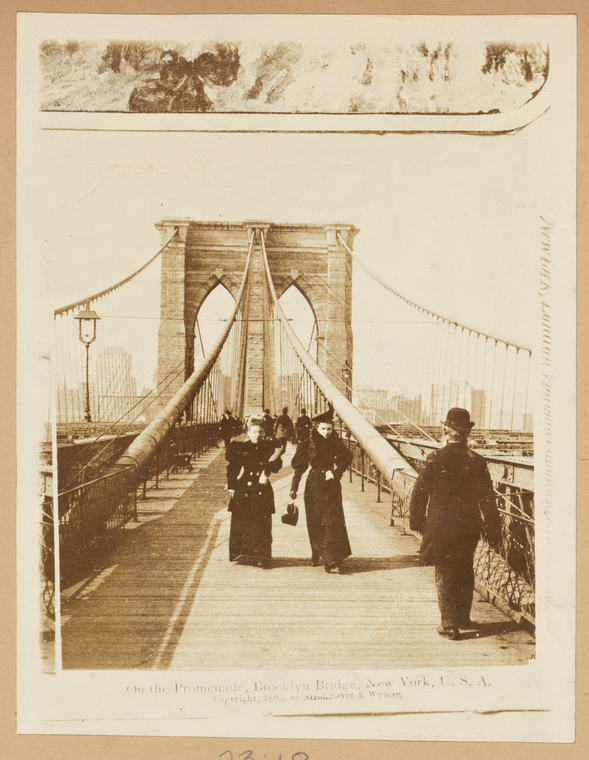 Enjoy these actual photos from the New York Public Library’s digital collection. Note: My copy of The Bridge was provided by the publisher. Categories: Engineering, STEM Friday round-up | Tags: engineering, graphic nonfiction | Permalink. Booktalk: From the small drones people fly for fun to powerful military aircraft, our skies are filled with more drones than ever before. 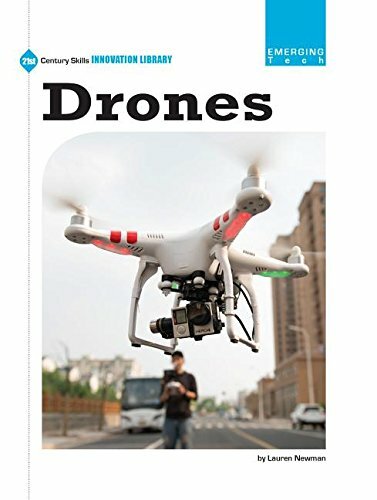 Snippet: Drones are also called unmanned aerial vehicles (UAVs). They are aircraft that do not have a pilot or passengers. 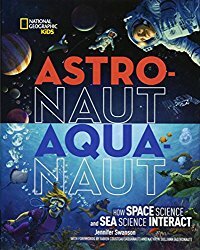 This book takes you on an adventure down, down, down to investigate a site where underwater volcanoes erupted. Two miles below the surface of the ocean, scientist are studying the living things taking hold near the hydrothermal vents. Getting there is a bit tricky, because you could get trapped in nets – and you only have three days of air – and who would come and rescue you? What I like love about this book: The adventure of a day in Alvin! The cool creatures that scientists discover in the deep, deep sea! There are ghost crabs, six-foot tall tube worms, and dinner plate-sized clams. I love the language Michelle Cusolito uses to describe fish – an elusive eelpout – and the technology – they toggle the slurp gun into position. Slurp Gun! How can you not love science when you’ve got a slurp gun? And of course, the back matter – and there is plenty for everyone. Michelle writes about underwater food webs at hydrothermal vents. Too deep for sunlight and photosynthesis, the creatures of the deep depend on bacteria and microbes to convert chemicals vented from inside the earth into food. 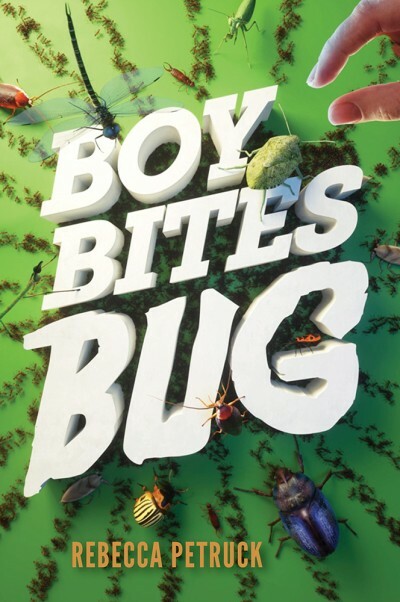 Those microorganisms are in turn eaten by bigger animals. She also writes about her sources: Don Collasius, a former Alvin pilot, and Bruce Strickrott, a current Alvin pilot. 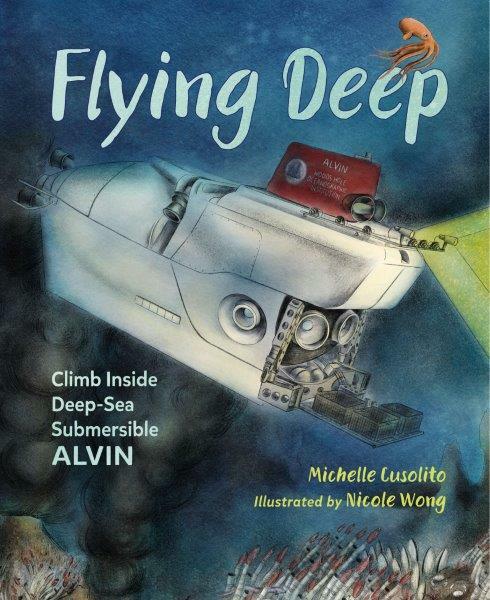 Illustrator Nicole Wong writes about her research to get the illustrations correct – from the technology to how it moves underwater. There are Alvin Facts, a glossary, and a guide to the organisms Alvin scientists have found, along with sources for further exploration. Head over to Archimedes Notebook for an interview with Michelle and Beyond the Book activities.